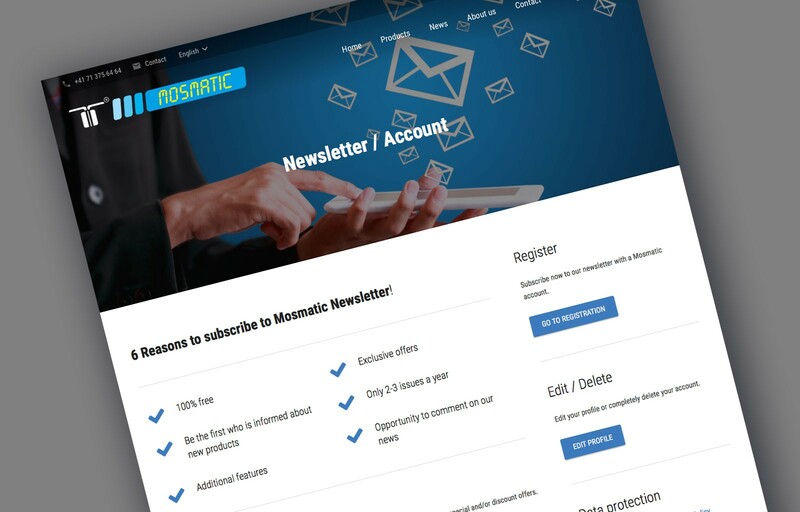 Create an account and take advantage of additional features provided by Mosmatic. Why should you create one? Sign up today. The creation of the account is fast and easy. By activating your account through a confirmation e-mail, we make sure that it’s really you! This way we also protect you from Spam.